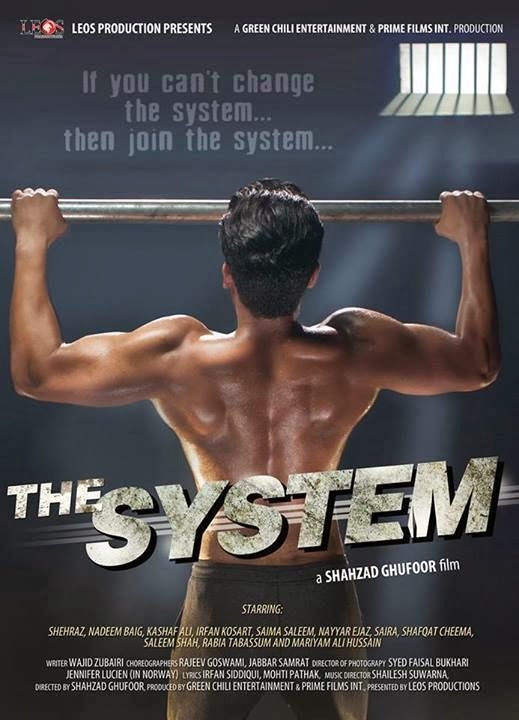 One of the newer films to hit local cinemas, The System is an action-thriller based on the corrupt ‘system’ prevalent in Pakistan — in which the affluent go scot-free after committing a crime while meting out ‘punishment’ to the innocent. Haider Ali plays the character of Sheraz, a young man from the lower-middle class, son of a cleric (played by Nadeem) and in love with Sara (played by Shiza), the daughter of a corrupt government official. One fine day, on his way home from school, Sheraz is caught and detained by the police, along with his classmates, on bogus charges. 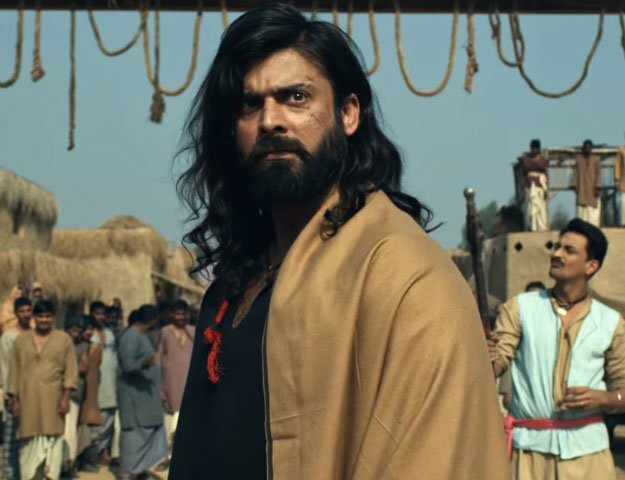 The area SHO (played by Shafqat Cheema) beats him up and demands a heavy bribe for his release from his helpless father whom he humiliates by saying, “Yeh masjid nahin thana hai jahan mera hukam chalta hai!” The boy is released after his uncle, Abdul Hafeez, pays the bribe. The incident leaves an impression on young Haider who is quite disturbed and takes it upon himself to fight this unjust system. He studies hard and qualifies in the CSS exams and eventually clinches the position of ASP. As fate would have it, he gets posted in the same SHO’s area and decides to teach him a lesson. However, instead of doing away with the system he wanted to fight, he becomes a part of it and demands his share of the bribes the SHO collects from the criminal gangs operating in his area. The System has a good screenplay and musical score, promising new talent and employs the latest digital technology. The film does not feature any of the usual masala such as mujras, excessive blood and gore, etc. It is a ‘message-oriented’ film written keeping in mind the current socio-political scenario and highlights police brutality and a corrupt-to-the-core political hierarchy. Although the film portrays Pakistan, it has been shot in Norway because of the fact that both the producer and director are based there. The young and talented director Shahzad Ghufoor has managed to capture the beautiful locales of Norway that add to the film’s visual appeal. He has received training in film direction from the US and is a distributor of Hindi movies in Norway. Newcomers like Haider Ali are badly needed in our film industry to replace the old breed of actors such as Moammar Rana, Saud, Rambo etc. Having said that, Haider’s acting isn’t entirely up to the mark — he desperately needs to work on his expressions. Although Shiza’s role as Sara remains marginalised throughout the film, she’s proven that even when given a little space, she can deliver a good performance. On the downside, the director unfortunately fails to realise that in order to cater to female audiences, a film must feature a generous dose of songs and romance. The director misses the mark here to a large extent. But then, this is a directorial debut, so some oversight can be forgiven. Furthermore, it boggles the mind as to how a Chief Minister can be shown as helpless while dealing with an ASP, especially since he enjoys supreme power in the (dare we say) ‘system’? The film loses much of its weight in the scenes showing this. Having said that, with all of its faults, The System makes for a satisfying watch. Saw it in theaters some days ago .. .excellent movie and excellent acting by all except the lead actor, whoever he is,,, he ruined all the movie by his third class acting ,,, it could have been a best movie it they had casted somebody else and not this guy.